This application note provides an overview of NovAtel‟s ALIGN family of heading solutions, including the ALIGN Heading and ALIGN Relative Positioning models. Receiver hardware setup and software configurations are also discussed. Heading information can be logged from NovAtel‟s OEM6® receivers at a maximum rate of 20 Hz, or at a maximum of 10 Hz on OEMV® receivers. The Master receiver position accuracy can be enhanced by adding L-Band corrections, SBAS tracking, or by adding an optional RTK static base station. Please see section 3.1.2 for information regarding ALIGN use with SPAN INS. Complete explanation of logs can be found in the OEM6 Firmware Reference Manual. Receiver features may be limited if basic Position Velocity Time (PVT) only models are used. See Appendix A for more information. One NovAtel OEM6 or NovAtel OEMV receiver running an ALIGN enabled receiver model and firmware version. This is the Rover receiver. One NovAtel OEM6 or NovAtel OEMV receiver. This is the Master receiver. Two GPS or GPS+GLONASS capable antennas. Data communication link between both receivers. Examples include a radio, modem or serial cable. It is recommended to set the communication rate to 230400 bits per second on both receivers. * If using an ALIGN Master not capable of outputting a position (i.e: heading only model), ALIGNBSLNXYZ will be available but MASTERPOS, ROVERPOS, and ALIGNBSLNENU will not be. 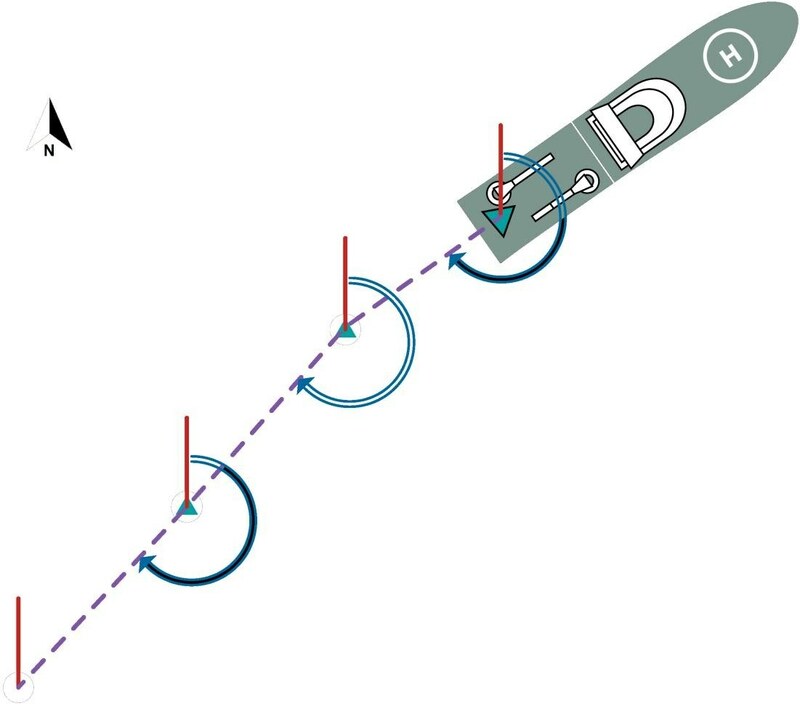 A variety of symbols are used in this application note to depict ALIGN output symbols. The meaning of each symbol is given below. This use case requires one Master and one Rover receiver. Figure 2 provides an example where the Master and Rover are located on the same vehicle, and the two antennas are located at a fixed distance from one another. Relative heading and pitch are computed with respect to the Master receiver. Connect COM2 of the Rover receiver to an available COM port on the Master receiver using a NULL modem cable. To access heading data, ALIGN logs can be logged at either the ALIGN Master or Rover receiver. Connect any COM port on the Master receiver (e.g. COM2) to any COM port on the Rover receiver (e.g. COM2) using a NULL modem cable. Many customers use Ethernet due to the fact that one physical connection provides three high speed ports. This section will go through the steps that are needed in order to setup ALIGN through Ethernet. Please note the ALIGNAUTOMATION command does not work with an Ethernet connection. Connect your computer to both Master and Rover receivers using null modem serial cables or USB cables. Establish a connection to both Master and Rover receivers using either NovAtel Connect or another terminal program such as Windows HyperTerminal. This connection is used to send the commands to the receivers. Establish an Ethernet connection on both Master and Rover receivers. Connect the Ethernet port of the Master and Rover receivers to the DHCCP server using two patch cables. Obtain the IP address assigned to the Master receiver by the DHCP server through the command shown below. Make a note of the IP address returned with this log as it will be used later on. This is only done at the Master. Confirm that DHCP is enabled by entering the following command. This is done at both the Master and Rover receivers. Assign the TCP/IP port number by entering the command below. This is only done at the Master. Confirm the port number assigned to the Master‟s ICOM1 by entering the following command at the Master. Connect the Ethernet port of the Master receiver with the Ethernet port of the Rover receiver using a cross-over cable. Assign the TCP/IP port number by entering the command below. This is done only at the Master receiver. Confirm TCP/IP configuration by entering the following command. This is done at both the Master and Rover receivers. Send the following commands to the Master receiver. Recall that manual ALIGN configuration can be done either through NOVATELX or RTCA message protocols. Send the following commands to the Rover receiver. Recall that manual ALIGN configuration can be done either through NOVATELX or RTCA message protocols. Please ignore this section if you are not using ALIGN with SPAN INS. 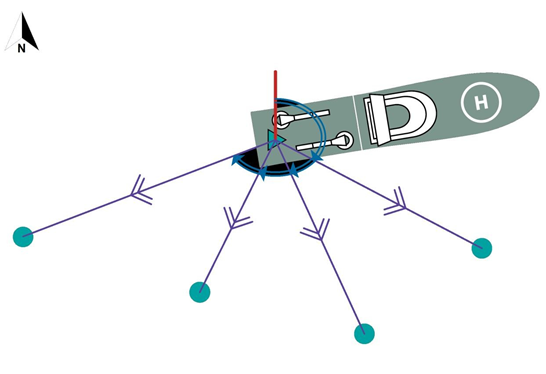 ALIGN configuration when using SPAN is done automatically in the background provided both primary and secondary lever arm has been issued and that the ALIGN rover is connected to the SPAN receiver via serial COM ports. Please refer to the DUALANTENNAPORTCONFIG command in the SPAN firmware reference manual as it specifies the serial COM port from which the SPAN receiver expects connectivity with the ALIGN receiver. Setup ALIGN manually using the static IP configuration shown in the previous section. Send the following command at the rover: SETROVERID DUAL. Please note the field “DUAL” is case sensitive. Send the LOG HEADING command in the SPAN receiver. If nothing is output then something is wrong with the ALIGN configuration. These conditions are important as it is entirely possible to be producing new HEADING logs but they are not being used by the INS filter. Confirmation is done through the LOG INSUPDATE message indicated earlier. This use case requires one Master and one Rover receiver. 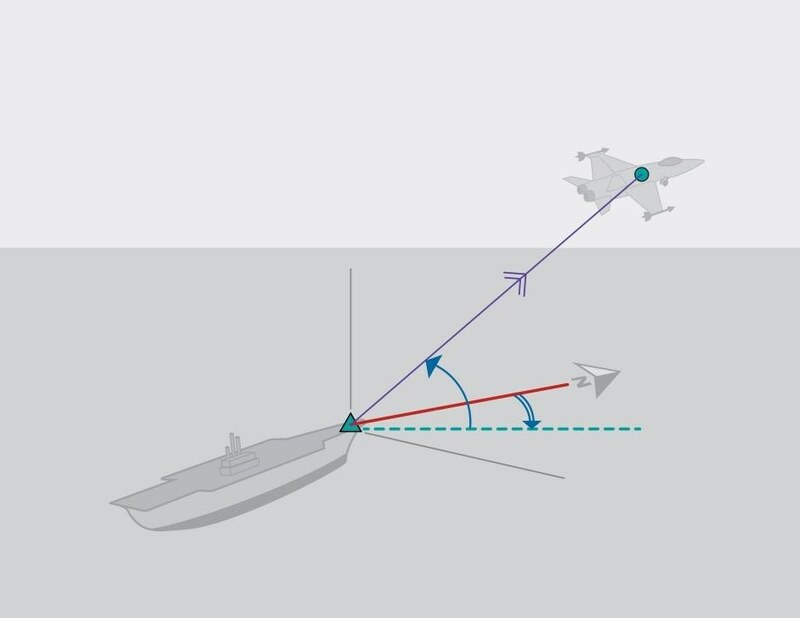 Figure illustrates the Master receiver on the vessel and the Rover receiver located on the fighter jet. Relative heading, pitch, baseline length, and Rover positions are computed with respect to the Master receiver. There are two possible ways to set up this use case. One is to take advantage of ALIGN‟s plug and play functionality and another requires manual receiver configuration. Configure the wireless data links for two-way communication, using the same baud rate (i.e. 230400 bps). Connect one wireless data link to an available COM port on the Master receiver. Connect the other wireless data link to COM2 of the Rover receiver. Configure the wireless data links for two-way communication, using the same baud rate (230400 bps for this example). Connect one wireless data link to an available COM port on the Master receiver (e.g. COM2). Connect the other wireless data link to an available COM port (e.g., COM2) on the Rover receiver. To access heading and relative positioning data, ALIGN logs can be logged at either the ALIGN Master or Rover receiver. This use case illustrates multiple Master and Rover receivers in a daisy chain type setup. There is one main Master receiver on one platform as a moving reference, with multiple Rovers setup on other platforms. Each Rover can act as the Master receiver for the next Rover receiver by transmitting ALIGN corrections to the next receiver. 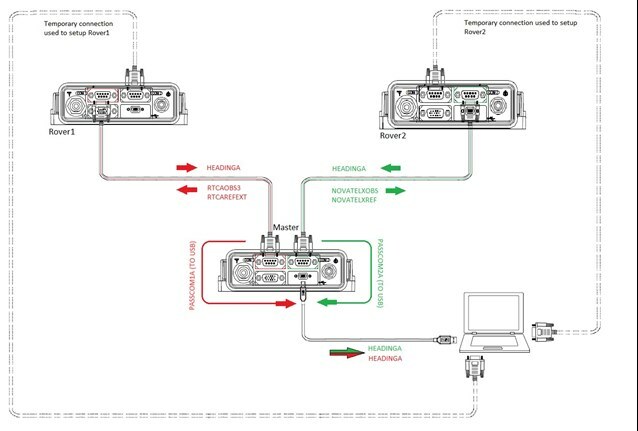 Figure 4 illustrates the main Master receiver on a seismic research vessel. The Rover receivers are located on a series of buoys, with each Rover receiver acting as a Master for the next receiver. Relative heading and pitch are computed with respect to its linking Master receiver. Configure the wireless data links between each Master and Rover pair for two-way communication, using the same baud rate (230400 bps for this example). Connect one wireless data link to an available COM port (e.g. COM2) on the first Master receiver. Connect the other wireless data link to COM2 of the next Rover receiver. To access heading and relative positioning data, ALIGN logs must be logged at each ALIGN Rover. Connect one wireless data link to an available COM port (i.e., COM2) on the first Master receiver. Configure COM1 of the Rover receiver to send corrections to the next Rover receiver. Connect a wireless data link to COM1. Configure COM2 of the next Rover receiver to receive corrections as described in steps 4 and 5. To access heading data, ALIGN logs must be logged at each ALIGN Rover. This use case demonstrates one ALIGN Master and multiple Rover receivers. There is one main Master receiver set up on one platform as a moving reference, with multiple Rovers set up on other platforms. Figure 4 illustrates the main Master receiver on a seismic research vessel. The Rover receivers are located on a series of buoys. Relative heading, pitch, baseline length and Rover positions are computed with respect to the Master receiver. Configure the wireless data links for two-way communication, using the same baud rate (e.g. 230400 bps). Connect the other wireless data link to an available COM port on the Rover receiver. Repeat steps 4 and 5 until all Rover receivers are configured. To access heading and relative positioning data, ALIGN logs can be logged at each ALIGN Rover, or alternatively, data for all Rovers can be accessed at the Master receiver. This case demonstrates one ALIGN Master setup between two Rover receivers. Only the Master receiver has to maintain a connection with the computer throughout data collection. 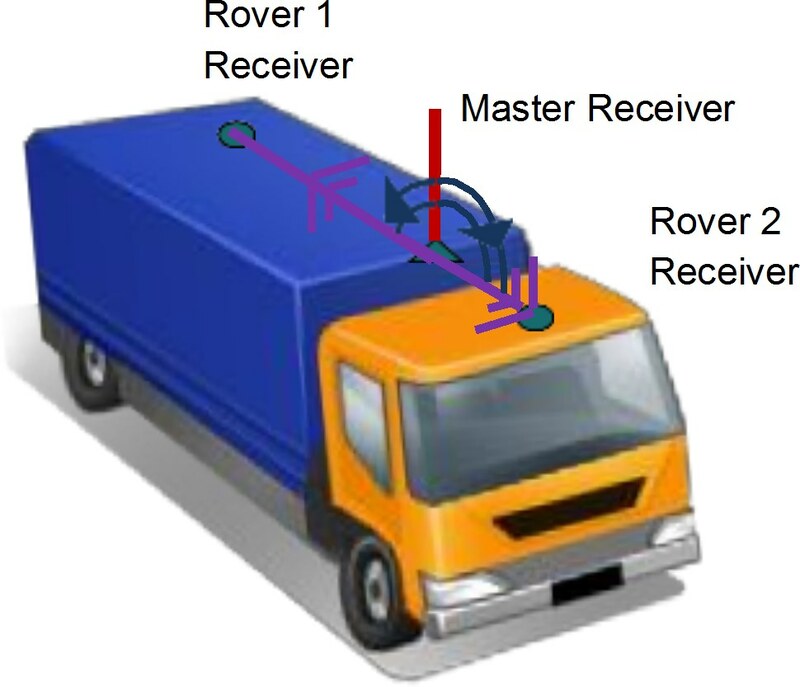 Figure 6 illustrates the Master receiver and Rover1 receiver on a back of the truck and Rover2 receiver on the front part of the truck. Relative heading, pitch, and rover positions are computed with respect to the Master. In the example shown in Figure 7, Rover1 is connected to the Master through COM1 while Rover2 is connected to the Master through COM2. COM2 of Rover1 and COM1 of Rover2 are only used initially to setup the rovers through the computer. The Master receiver is connected to the computer via USB port (can also be Ethernet). This example is applicable for OEM 6 receivers. Establish communication with the Master receiver (via USB port or Ethernet). Establish communication with the Rover1 receiver (via COM2). Establish communication with the Rover2 receiver (via COM1). Connect the Rover1 receiver to the Master receiver using COM 1 port. Connect the Rover2 receiver to the Master receiver using COM2 port. Issue the following commands to the Master. The heading from Rover1 should be received at the computer at this point. Issue the following commands to the Master. The heading from Rover2 should be received at the computer at this point. 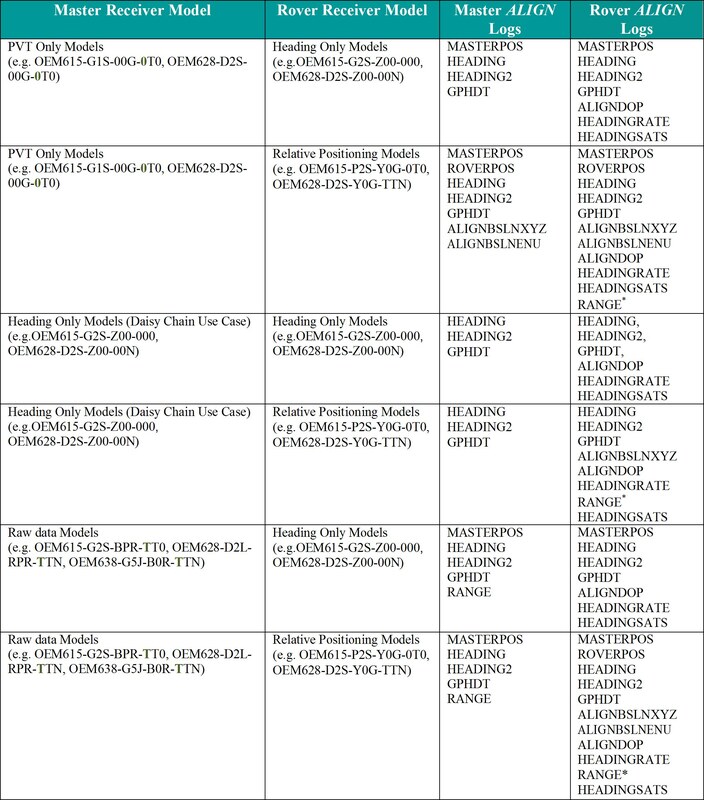 Refer to NovAtel product model list for complete list of ALIGN capable receivers and models. The last page of the model list document contains the possible receiver model configuration descriptions. Dual antenna products such as the SPAN-SE-D, ProPak-6-D, OEM-617D, and FLEXPAK-6D are hardware preconfigured for ALIGN heading. No additional user input is required. Additional setup and equipment will be required if these systems are used in multiple platform applications (e.g. daisy chain use case, master and rover on separate moving platform use case, and single master with multiple rovers use case).